Passenger traffic at Missoula International Airport last year set an all-time record. The airport handled over 848,000 passengers. That’s a 10 percent increase over 2017. Since 2000 the airport has seen an 85 percent increase in passenger traffic. Missoula International’s Deputy Director, Brian Ellestad, chalks up the ever-growing passenger traffic to a couple of different factors. For one, increased competition among carriers. “That’s what American Airlines really brought to our market was another carrier that other carriers try to compete with," Ellestad says. "So United has gone gangbusters, and Delta’s competing as well. There’s a lot of competition driving down airfare." As demand grows, seasonal carriers are operating for longer periods of time. And according to Ellestad, Missoula itself is a big part that ever-growing demand. The existing airport terminal is showing its age and can no longer keep pace with the ever-growing demand. A multi-million-dollar terminal expansion project is set to begin next month and will take several years to complete. When complete, it will be able to accommodate more passenger gates and planes. 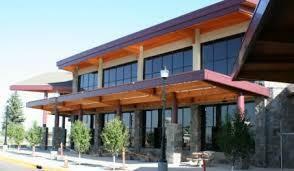 Missoula’s not the only Montana airport experiencing year-over-year growth. Bozeman Yellowstone International Airport welcomed more than 1.3 million passengers last year, shattering 2017’s record by almost 12 percent. The Bozeman Daily Chronicle reports Billings Logan International Airport saw a record number of passengers last year with close to a million people arriving and departing. American Airlines returned to Montana with great fanfare on June 2, 2016 when a direct flight from Dallas/Ft. Worth landed in Bozeman, the state’s busiest airport. Missoula is getting more direct flights next summer. American Airlines and the Missoula International Airport announced Monday that direct service will begin in June: a seasonal route from Chicago and a year-round direct connection with Dallas. Airport deputy director Brian Ellestad says that this has been a long time coming. United Airlines will offer direct flights next year from Missoula and Kalispell to Los Angeles. The new seasonal daily service begins in early June. Missoula International Airport Deputy Director Brian Ellestad says it will be a real boon for Montana.